APEXi Exhaust - N1 Evolution-R - Pann Auto Performance - San Diego largest aftermarket automotive performance parts - What do you drive? The N1 series muffler has become a staple of the import tuning industry. The N1 was the first of its kind to incorporate the classic angled muffler design that has became so familiar with today’s street cars. 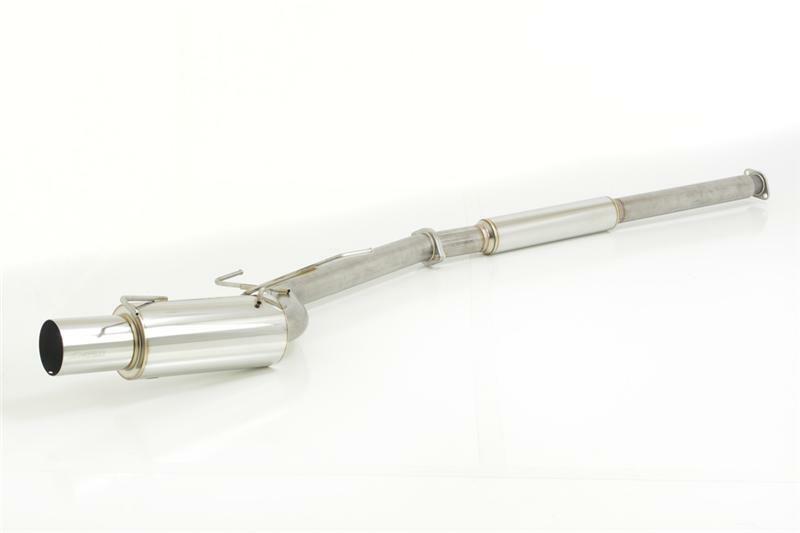 Born from our involvement in the grueling N1 endurance series, the N1 exhaust system pairs a straight through design racing muffler with free flowing, mandrel bent piping (60.5mm N/A, 80mm for turbo applications). The combination has resulted in dyno proven horsepower and countless satisfied customers world wide. Designed with track use in mind, durability is of utmost importance. The polished SUS 304 stainless steel canister features robotic TIG welding for an immaculate finish and years of reliable performance. The N1 Evolution-R combines all the racing heritage and proven performance of the original N1 muffler but raises the ante by adding light weight, fully polished stainless steel piping. This is the ultimate N1 exhaust system. Mandrel bent, full stainless steel construction provides maximum power gains and resistance to rust or other damage caused by weathering. Like the original N1, the N1 Evolution uses the minimum amount of pipe bends to allow for greater exhaust flow. The N1 Evolution was created for those who are looking for something one step further than the classic N1 design. Available only for a select amount of vehicles, the N1 Evolution stands as a brilliant testament to exhaust system fabrication. The N1 is truly THE benchmark in which others strive to duplicate.